Today, the Massachusetts legislature delivered its joint resolution to Census Bureau Director John H. Thompson. 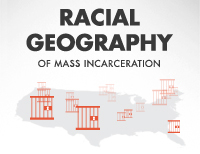 The resolution urges the Census Bureau to provide the state with redistricting data that tabulates incarcerated people at their home addresses. 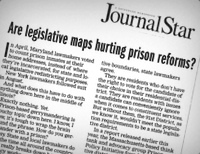 By tabulating incarcerated people at their residential addresses, as called for in the resolution, the Bureau would create a national and permanent solution to prison gerrymandering. A new resolution introduced in the House and Senate call on the Census Bureau to tabulate incarcerated people at their home addresses beginning in 2020.